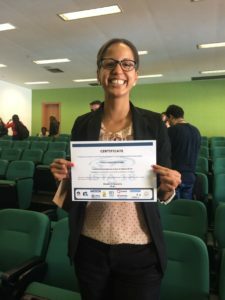 On Friday, July 21, 2017, Tuane won the Stephen J. Klaine award at the 18th International Symposium on Toxicity Assessment conference held in Limeria, São Paulo, Brazil for the best oral presentation. We are very proud of her! Congratulations Tuane, now a Ph.D. Candidate! Congratulations Dr. Xiuzhu Fei!